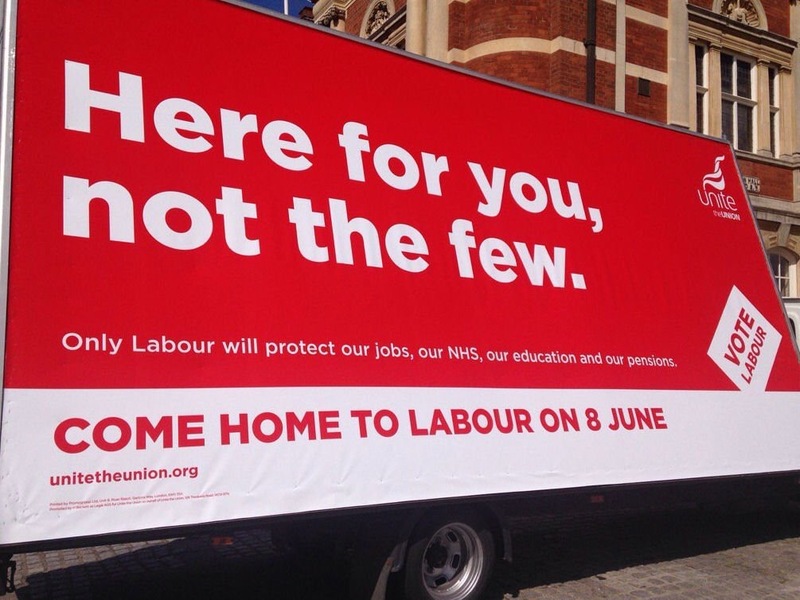 I’ve seen a few Labour-supporting posters which are independent from the official campaign that are worth sharing. 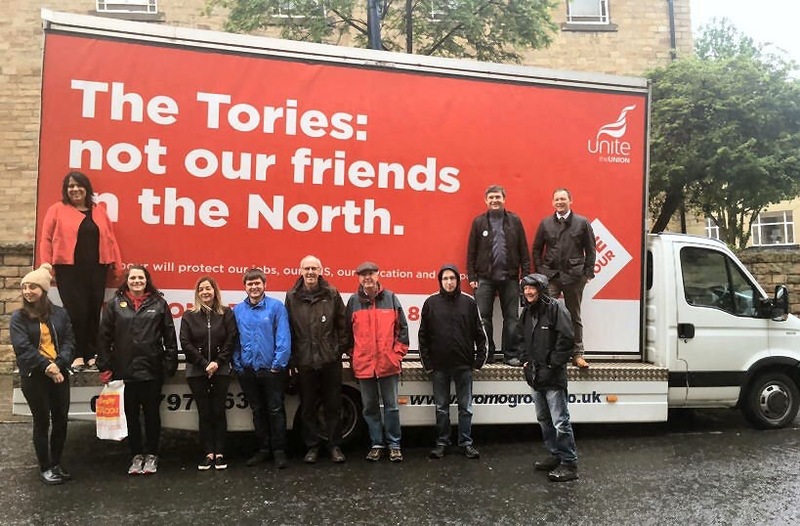 Unite, a trade union, have been touring a poster van around the north of England. 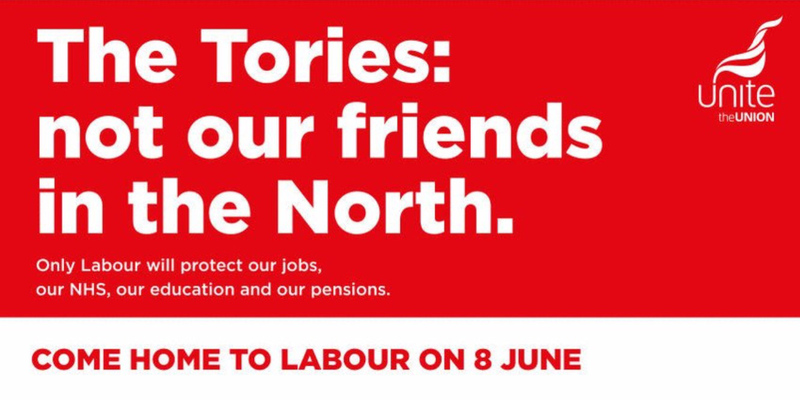 The adverts seek to reheat some of the old anti-Tory sentiment that has, historically at least, burnt brightly. It’s great that they’ve gone to the effort and they score marks for trying to be provocative and generate earned media, but the attacks are slightly ham-fisted. A bit of humour or wordplay in the headline would have gone a long way to remove any negative sentiment viewers might feel towards the sponsor of the attack. 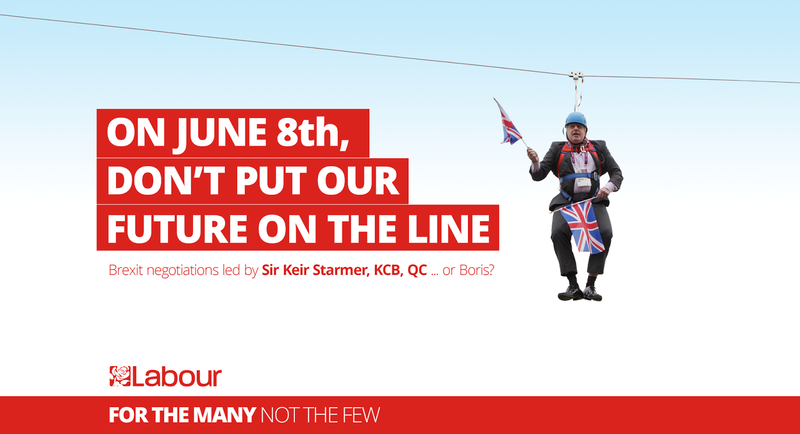 Pasha & Garrick have created this unofficial poster for the Labour Party which tries to position the Conservative’s Brexit negotiators as not being up to the task. As most people see Theresa May as strong on Brexit, the attempt to remind voters of the other more calamitous members of her team is an interesting angle. However, Brexit is the Conservative’s strongest suit and every day Labour encourage discussion of Brexit they risk reminding voters of a reason to vote Tory. Nevertheless it deserves credit: it’s a clever headline with an eye catching visual that has been very nicely art directed.